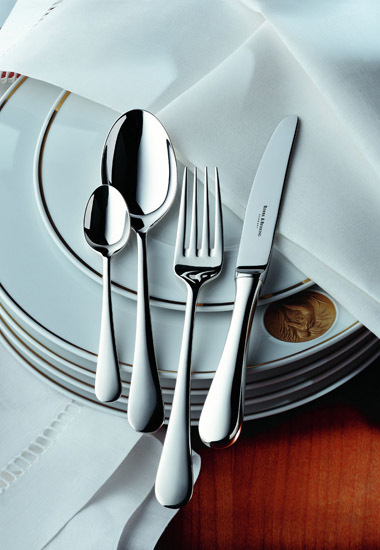 Como represents high-quality Robbe & Berking stainless steel cutlery. The Como handle silhouette forms an interesting arch, giving the design typical Robbe & Berking aesthetics. Stainless steel cutlery from Robbe & Berking unites function, material and form in perfect harmony.